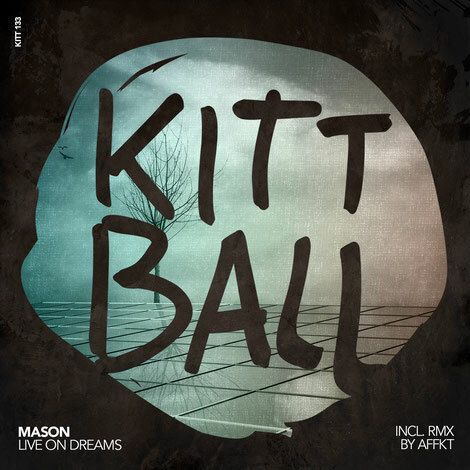 Veteran Dutch producer Mason recently marked his debut on Kittball Records with a new single titled ‘Live On Dreams’, featuring a remix from Sincopat boss AFFKT. Mason has apparently been creating groove heavy, melodic club music since 2004, experiencing mainstream success but also cementing his position on the independent circuit with releases on LouLou Records, Boys Noize and Bunny Tiger. Add to this his own label, Animal Language, and a record deal with Island, this latest release sees him build on an extensive back catalogue with a new single on Juliet Sikora and Tube and Berger’s Kittball Records. ‘Live On Dreams’ gets things started with melodic textures followed by an expressive vocal edit and an emotive chord progression, until rising and falling textures give way to compelling grooves and melodies. Closing the package is Spanish artist AFFKT, known for releases on Suara, Kling Klong and Noir Music, who reshapes Mason’s original into a shape shifting house track. It’s out now on Kittball Records.